Be the smarty at the pontoon party! 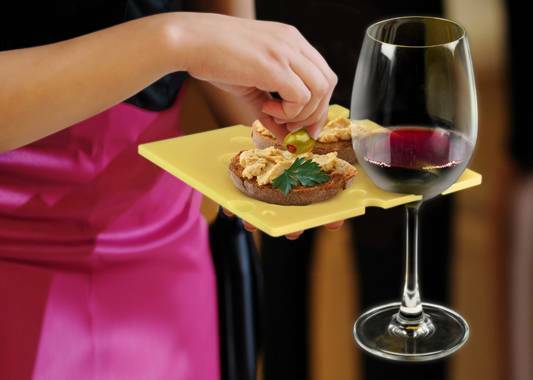 The Swiss cheese-shaped Swiss Dish is notched to hold most any wine glass, so you can keep one hand free to hold a fork, or to gesture wildly, or to gesture wildly with your fork (careful there). Grab a slice, load it with snacks and party on! These four plates are durable, dishwasher-safe, food-safe and reusable.